Aiming to reach out Arxiu. The Anglican church’s poster FOR ITS CHRISTMAS FAIR. BELOW: REVEREND RACHEL SHOCK ARCHIVE. You’re the new chaplain of the Church of England on the Costa Brava. When and how was it set up? 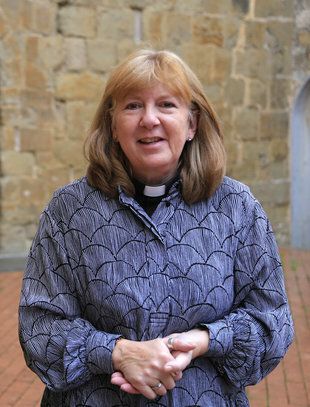 The Anglican church of Costa Brava (www.anglicancb.org) was set up in 2002 by Colin Levey, a retired priest who moved here and missed taking community services. They had their first service in Madremanya on Easter Day. After his death, my predecessor, chaplain Anne Jenkins, started five years ago. Three months ago I took over from her, and I have a licence for five years. What’s your main aim as reverend? I’ve been tasked with trying to grow the church so that’s the main strapline, numerically and spiritually. I come from Nottingham – I was a priest in the middle of the city centre – I used to go to businesses and was chaplain there. Here we have an ageing congregation and we’re spread over a very wide area, we meet in four places to worship (Pau, Penedes, Lloret de Mar and Madremanya), so we need to take that into account. We’d like to grow by building relationships with people, everyone is welcome to come along. Some come along because they’re lonely and want to meet a group of English people, and that’s fine, you don’t need to have all the answers and all of your faith rock solid; come along and hopefully we’ll give you some signposts along the way, you might be wondering a bit more about what a Christian is. Are people surprised at a woman priest? It’s been very positive and for the British community it is almost normal. I’ve been a priest for 20 years and I work with women and male priests, women and men can do things differently but together we make a really good team. Here it’s been interesting because sometimes I get a lot of looks when I hold hands with my husband and I wear a dog collar. Which activities do you do apart from services? We hold service every Sunday and try and go for lunch afterwards, tea and coffee. There are lots of fund raising activities, concerts, as we are self-funded and it provides that fellowship. We have the great typical British style lunches every two months, the spring fair and the Christmas fair. Tell us about your traditional Christmas. This year we are holding it earlier, on November 17, in Corçà, at the local social centre. 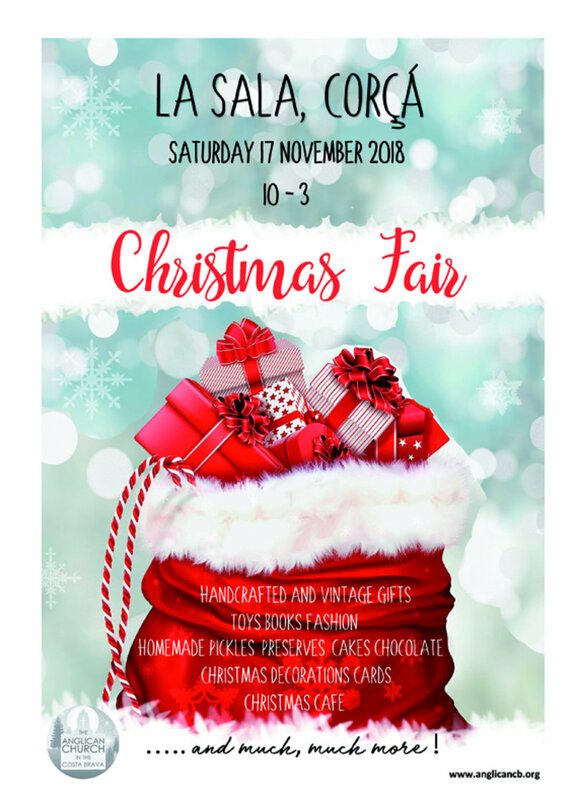 It’s a huge fund-raising activity, but it’s more than that, it’s a great place to meet people, locals come along as well, there’s nothing religious about our Christmas fair, it’s a place to have something to eat and drink, buy Christmas bits and pieces, crafts, there are some children’s activities, Christmas carols, Father Christmas will be there, it’s a family day out. Any message for the community? The main message I’d like to get across is we want to meet people, we want people to feel they can come and be with us and be in touch, they don’t even have to come to church. We’re there for them, at any point, and not just the English community, even if they only want a cup of coffee or to practise English. We’re a welcoming community. What surprised you most when you arrived here? Catalonia is much more beautiful than I anticipated, and I was pleasantly surprised by how beautiful the area is, especially the medieval villages are amazing. And because I’m into IT, and in the UK virtually everything is done online, I’m quite surprised that here sometimes that is not the case. It does feel like a much slower pace of life, maybe because I used to work in a big city centre. It’s quite a big change for me and I like it.